Lincoln's Cottage - A Washington D.C. Hidden Treasure ~ Learn, Live, and Explore! 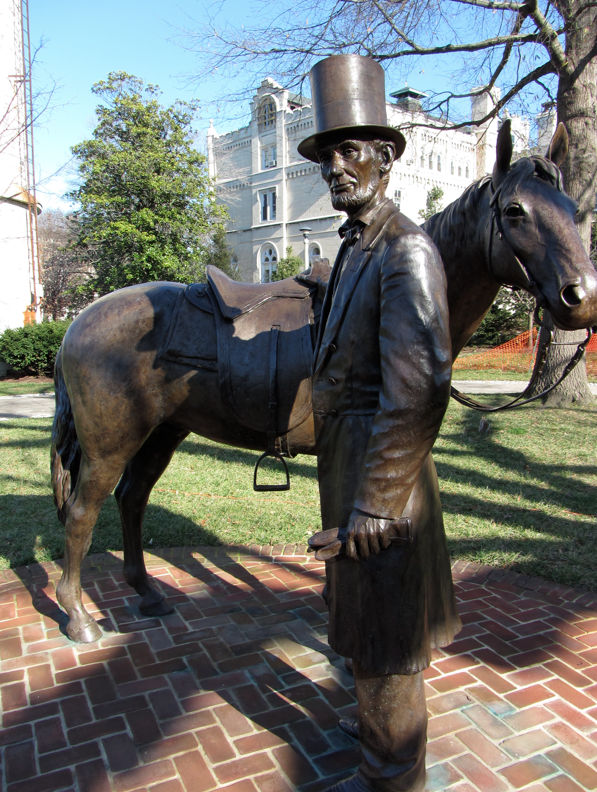 I officially declare Washington D.C.'s new secret to be Lincoln's Cottage! When I bought a Groupon awhile ago to tour the Lincoln Cottage, I had no idea what to expect. All I thought was that this would be something different to do when my parents were in town. I was also concerned because there had been some comments on TripAdvisor that there was nothing to see, no furniture in the rooms, just audio visual presentations. Boy were we surprised! To start with, the site of what is now known as Lincoln's Cottage is actually one part of the Armed Services Retirement Home campus. That campus name is only a recent change, as it was formerly called Soldier's Home. From what I read, and from the stories that we were told, it seems to me that this is the first attempt at creating a facility for disabled Army veterans of war and is essentially a foundation for what is now the Department of Veterans' Affairs. It was founded in 1851 after years of petitioning for a retirement home for homeless and disabled veterans of war, specifically the War of 1812 and the Mexican-American War. On the property, there were, originally, three large homes and a dormitory-like structure for the veterans, called the Scott Building. In order to gain financial support from high ranking officials for the Soldier's Home, these officials were invited to stay in one of the large cottages as they pleased. This cottage was originally named Anderson Cottage. According to Wikipedia, "Built initially in 1843 by the banker George Washington Riggs as a summer cottage for his family, it was a part of the first parcel acquired by the U.S. Military Asylum. Renamed Anderson Cottage for co-founder Major Robert Anderson, it housed the first residents of the home. It is now known as President Lincoln's Cottage." It is thought that President James Buchanan first introduced Lincoln to the cottage, as Lincoln was quick to inquire about it soon after taking office. It did not become the summer home for the first family until 1962, when Mary asked for refuge from the noisy preparations for war of the soldiers camped out in Washington, all over what is now the National Mall, and the constant foot traffic at the White House, which she saw as more of an office than a home. Both Mary and Abraham were also mourning the loss of their son, Willie, in 1962. So the Soldier's Home became an ideal compromise of a quiet home away from the wartime hubbub that was still within a reasonable commuting distance -- 3 miles or 30 minutes, which is ironically probably the same amount of time it would take to travel that distance in D.C. today with all the traffic -- for Lincoln to travel down to the White House daily. 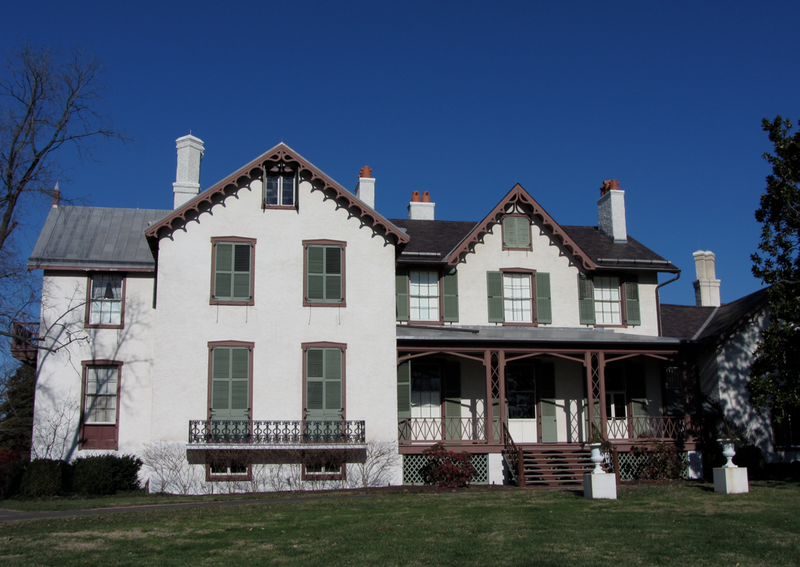 Opened in 2008 after extensive renovations, the Lincoln's Cottage tour is fascinating. First, you have the opportunity to browse a small gallery chronicling the events, challenges, and motivations during Lincoln's presidency. Then you are led to a small room to watch a short introductory film. After this, your docent leads you to the house, itself, and tells you the stories of 1861-1865, with the help of some video and audio. Each room serves a different purpose in telling the story of the importance of the cottage and the impact of Lincoln's term in office, including his views on emancipation and on the war. It is important to note that one of Lincoln's best known documents, the Emancipation Proclamation, was drafted at this cottage. While the entrance fee may seem steep, the docent experience makes it worth your while if you have any interest at all in President Lincoln and the Civil War. I am so glad that Groupon allowed me stumble upon this hidden treasure, that it will remain high on my list of recommended things to do in Washington, D.C.!